Making important decisions about your family's future can be difficult -- and learning about the legal avenues that can make those changes happen can also be hard. This page of Bellevue, WA, divorce frequently asked questions is here to help those who are learning about Seattle family law issues such as divorce, child custody, domestic violence, and divorce mediation. Do you have a question that isn't addressed below? Contact us today to talk to an experienced Seattle family law attorney. 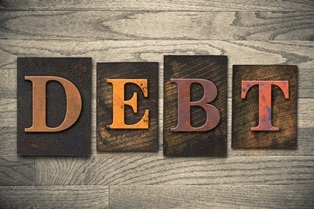 How does community debt affect my divorce? During the asset division phase of a divorce, you and your spouse will need to sit down and decide how to divide up your community property. According to Washington state law, community property is that which either you or your spouse have acquired since your marriage began. What not everybody realizes as they begin a divorce is that community property includes not only marital assets but also marital debts. Here’s what you should know about community and individual debts and how they’re handled in a divorce. There are just a few examples of what is usually considered “community debt.” There may be other debts that are included, too, depending on your situation. It’s important to understand that even if you didn’t know your spouse had incurred debt, it is still considered community debt. If you cannot come to an agreement with your spouse about who is responsible for what share of the community debt, the court will make a decision based on what it believes to be fair. 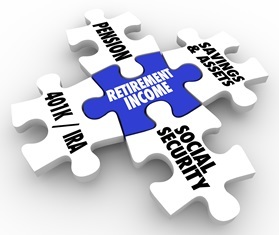 There are also some expenses that you may not be responsible for and you may not include as part of community debt. These are called separate debts and include debts incurred by one spouse or the other before the marriage took place. You are typically not responsible for your spouse’s separate debt, and your spouse is not responsible for yours. This also holds true for debts incurred once you separate. Once you physically separate from one another, any new debts incurred by your spouse are not your responsibility, unless those debts are on an existing account that still has your name on it such as a shared credit card. That’s why it’s important to open your own accounts and remove your name from shared accounts as soon as possible. If you do decide to reconcile before your divorce is complete, be aware that you are also once again able to be held liable for those debts that your spouse incurred while you were apart. Debts incurred that solely benefit one person’s separate property are also generally considered separate property, as well. For example, if prior to marriage your spouse owned a home and he incurred debt repairing or remodeling that home, that debt could be considered a separate debt, and you may not be responsible for a portion of it. Under most circumstances, you are not allowed to use community property to pay for your separate debts during the divorce. However, it is possible to use community property to pay for things such as spousal support (alimony payments) or child support. The topic of asset and debt division during a divorce is a complicated one. Every family is unique, and what is considered community or separate property or debt in one case may not be in another. Review your divorce inventory carefully and discuss it with an attorney before you make a legal decision that could affect the outcome of your divorce, especially if you’re in a high-asset divorce situation. An attorney can help you protect your legal rights and advise you of your legal options. At the Law Offices of Molly B. Kenny, we have decades of experience helping families through divorce. We understand that it’s a difficult time in your life, and we are here to help you and your family through the legal process, so you can move forward with your life. To arrange a private consultation at our Bellevue location, call us by phone today, or use our contact form to send us an email. What does the term “irreconcilable differences” mean? There are many reasons why a couple chooses to get a divorce. Money problems, cheating or infidelity, drug and alcohol addictions, or simply falling out of love with one another are some of the most common causes cited for splitting up. 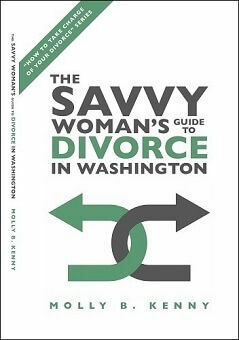 However, when it comes to the legal paperwork for your divorce, there’s only one real reason that matters in the state of Washington: “irreconcilable differences.” It’s important that you understand what the term means to the no-fault divorce process in Washington and how the reason for your breakup could affect the divorce proceedings, including alimony and child custody. 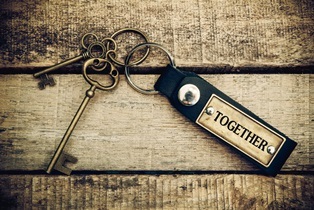 No matter the exact cause, the key to an irreconcilable difference is that it’s not something you feel can be solved with any amount of counseling, therapy, or open communication with your partner. Irreconcilable differences are terminal to the marriage, so if you believe that to be the case, you have grounds to file a divorce, and it will usually be granted. Proving marital wrongdoing is not necessary with a no-fault divorce proceeding, and Washington does not recognize at-fault reasons for divorce at all. The specific “difference” won’t affect the outcome of your divorce. 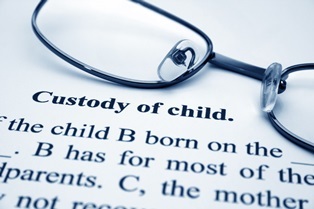 However, evidence of certain kinds of wrongdoing could be used in making decisions about child custody and alimony. In certain cases, evidence of infidelity may result in an increase in alimony payments if it is believed that the cheater used marital assets to fund the affair. Evidence of infidelity, drug abuse, or other marriage-breaking behavior may also be relevant during the child custody phase of a divorce, as it could bring into question your partner’s ability to make sound decisions when it comes to childcare. Irreconcilable differences are an important part of a divorce in Washington. The issues that drove you apart may have persisted from day one, or they could have developed over the course of the marriage. In either situation, when you’ve had enough and decide that the marriage is no longer salvageable, a no-fault divorce due to irreconcilable differences is how you can move forward with your life. At the Law Offices of Molly B. Kenny, we understand that it’s never easy to end a relationship. We serve a diverse range of clients in the Seattle area and have decades of experience with many difficult divorce situations, including high-conflict divorces, domestic violence cases, and high-asset situations where significant assets are at stake. To arrange a private consultation to talk about your own divorce situation, call us today, or use our online contact form to send an email. What if my spouse wants a divorce, but I don’t? It often happens that one person in a marriage wants a divorce, but the other partner doesn’t. Perhaps there’s an objection for family reasons, religious beliefs, or maybe that partner just isn’t ready to move on. When only one partner in the relationship is ready for divorce, it’s important to understand the divorce laws in Washington State. The state of Washington is a no-fault divorce state. This means, there is no legal need to prove that one spouse is responsible for the breakdown of the marriage or to find a “fault” with the relationship. A claim of “irreconcilable differences” by either party is enough for a court to agree to end the marriage. In short, if one person wants out of a marriage, he is legally able to do so, whether the other person agrees or not. This is a freedom that hasn’t always been the case—prior to 1970, no-fault divorce laws didn’t exist in the United States. While a few states also maintain a fault-based divorce system, every state has since enacted some form of no-fault divorce. As a purely no-fault state, the state of Washington does not recognize fault in divorce proceedings at all, so claims and evidence of infidelity, abuse, or other issues aren’t needed to get divorced. 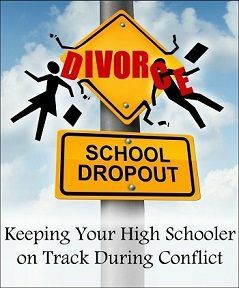 If you don’t want a divorce but your spouse does, you have few options if your spouse has made up his mind. You may try to talk through your issues as a couple, and you may consider marriage counseling or legal separation for a period of time. What’s most important, however, is not to be legally uncooperative. High-conflict divorces are often time-consuming and expensive, and being the source of conflict is unlikely to make your spouse change his mind about ending the relationship. 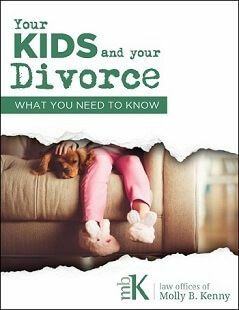 The emotional and psychological toll that a drawn-out and challenging divorce takes can be extremely high, not just for you and your spouse, but also for your family, especially if you have children. There are many other kinds of assets to consider during the asset division phase of a divorce that you may have a right to, depending on your specific financial situation. Your divorce attorney will be able to review the facts of your case and help you negotiate with your spouse to obtain a fair settlement—or represent you in court if your spouse is being unreasonable. Divorce can be legally complicated and emotionally challenging, but you don’t have to face it alone. If your spouse has asked for a divorce or has already filed, now is the time to seek legal help from a divorce attorney to discuss your options for moving forward. 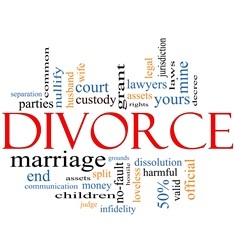 To speak to an experienced divorce attorney about your situation, call the Law Offices of Molly B. Kenny. To arrange a private consultation with a legal professional at our Bellevue office, call us, or use our contact form to send an email. Where can I file for divorce in Washington state? When it’s time for a divorce, the question of jurisdiction can be a big one, especially if you and your spouse have already split up and no longer share a home. It’s important to know where to file, what’s involved, and how to get started. 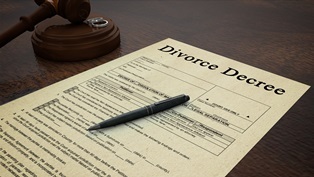 At the start of any divorce, you need to file paperwork with an appropriate county court. You may choose to file in the county that either you or your spouse reside in, such as through the office of the King County or Snohomish County Court Clerk. You also have the option of filing for divorce in Lincoln County no matter where you live in Washington. Lincoln County is a unique divorce venue in Washington, as everything must be filed via postal mail there—no court appearances are required in Lincoln County. If you have a choice of counties to file in, it’s worth consulting with your attorney before you make a final decision. Since divorces are handled on a county-by-county basis, each jurisdiction can make its own rules and laws about how marriages are dissolved, and there could be advantages or disadvantages for you depending on which county you pick. Complete your divorce paperwork. In King County, the Petition for Dissolution of Marriage form will be your starting point. You’ll also need to fill out a Confidential Information form and complete the Notice About a Marriage or Domestic Partnership, also known as a summons, and a few other additional documents that your attorney can help you with. Legally serve the summons to your spouse. This document is the official notice to your spouse that you are filing for divorce. Broadly speaking, it cites the conditions of the divorce, including assets, child support, spousal support, and child custody. Your spouse has 20 days to reply, either by accepting or contesting the terms you’ve offered. If your divorce is uncontested, the court will grant your dissolution of marriage after a 90-day waiting period. If your spouse contests your terms, you may enter into court-ordered mediation, so you and your spouse can work out an agreement that works for the both of you. Arbitration is another possibility, where you appear before an arbitrator who will make a binding ruling. If you still can’t come to terms, then you may need to appear before the court for a trial, where a judge will make a final ruling. Trials can be time-consuming, as well as emotionally and financially draining, so in many cases it may be in your best interest to avoid trial, if possible. However, because you have certain legal rights in a divorce, it may be necessary to take things to court. An experienced divorce attorney is one of your greatest allies during your divorce. She will advise you of your rights and explain your legal options, help you with your paperwork, and represent you during mediation, arbitration, or a divorce trial. The Law Offices of Molly B. Kenny has been serving Washington families for decades. Every divorce is unique, and whether you are dealing with a high-conflict situation, extensive assets, or a later-life divorce, we are here to represent you when you need experienced legal help. To arrange a private consultation in our Bellevue office about your divorce situation, call us, or use our contact form to send us an email. Is a community property agreement right for me? In the state of Washington, married couples (and registered domestic partners) may change the way that property is transferred when one partner dies by using a community property agreement (CPA). This type of legal agreement can allow the surviving partner to avoid the Washington probate process, but it’s not always the right solution for every couple. What a CPA does is allows all separate property of a spouse to convert immediately to community property upon death and then transfers it to the surviving partner without going through the probate process. This can greatly simplify estate planning, making the transfer to assets happen both faster and with less expense than probate. The state of Washington is one of several states that governs the ownership of property in a marriage through the legal concept of community property. This means, when a couple decides to get married (or join in a domestic partnership), most property and assets acquired from that point onward belong to both partners in equal share. Any property owned before the marriage will remain as separate property, fully owned by whoever owned it before the marriage or partnership—unless those assets become “commingled” in such a way that they are indistinguishable from community property. When a spouse dies, the share of community property that belonged to the deceased spouse will go to the surviving partner, unless he has a last will and testament that dictates otherwise. However, the will cannot give away the surviving partner’s 50 percent ownership interest of the community property. Without a will, separate property is divided equally between the surviving spouse and any children. If there are no children, the parents of the deceased will be owed a share. If the deceased partner had a last will and testament, he may leave instructions for the disposition of separate property to any heir or beneficiary he chooses. In order to be valid, a CPA needs specific legal language arranging for the property transfer from one spouse to another upon death, must be agreed upon in writing by both partners, and must be signed before a notary public. A CPA works for many couples, but it’s not always the right solution in every case. Sometimes, skipping probate can actually be a detriment to the estate. For instance, during the probate process, creditors have a four-month period to reply to an official “notice to creditors” and make a claim against the estate of the deceased; after this time period has passed, no more claims may be made. With a CPA and none of the protections afforded by probate, the time period for claims against the estate could be extended out as far as six years. Another downside to the CPA is that it cannot be altered unless both spouses agree. It’s also important to include provisions to account for divorce in a CPA, or unintended consequences could result. A CPA is also typically an “all-or-nothing” document, in which you leave all or most of your assets to your spouse alone. Although provisions can be made to exclude particular assets from the agreement, generally it’s better to use a last will and testament in your estate plan if you want to leave some of your assets or property to someone else, such as an heir or other beneficiary. If you have both a CPA and a last will and testament, if there are any conflicts, the CPA will take precedence, so careful planning is always necessary to avoid any unwanted overlaps. There are advantages and some disadvantages to using a CPA as a part of your estate plan, and only you and your partner can decide whether it meets the needs of your family. An experienced estate planning attorney can help you explore all your legal options and build a comprehensive plan that will ensure your loved ones are taken care of in the future. Whether you’re ready to begin your estate plan now or have questions about your existing will, CPA, or other estate planning documents, the Law Offices of Molly B. Kenny is here to help you. To arrange a private consultation in our Bellevue office, call us by phone, or use our contact form to send an email today. Is Washington a no-fault divorce state? Divorce can be a confusing and stressful time for everyone, and there are many misconceptions about the terms “fault” and “no-fault” in the state of Washington. If you’re considering a divorce, it’s important to understand these terms and how they affect your divorce. 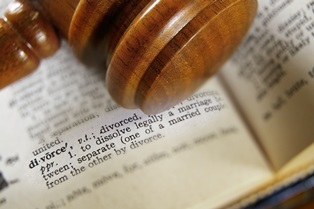 The first no-fault divorce law was enacted in 1970 by the state of California. Since then, every state in the union has recognized the benefits of no-fault divorce and has adopted some form of no-fault divorce law, and that includes Washington. There are some states that also maintain the option for a more traditional fault-based divorce; in those states, fault-based divorces may have an impact on spousal support (alimony) or other issues, depending on the local laws. Fault-based divorce is becoming less common across the nation, however, as a no-fault divorce is often simply faster, easier, and cheaper. A no-fault divorce provides a freedom that a traditional fault-based divorce does not. No-fault divorce laws mean there is no legal need to make a claim of wrong-doing by your spouse. With a no-fault divorce, a marriage can be terminated at any time by either partner, and it’s not necessary to show evidence that the contract of marriage has been breached in some way. Thus, if either partner thinks that the marriage is irreparably damaged at any time, a legal divorce is possible for that reason alone. The state of Washington, like many other states, is purely a no-fault divorce state. It does not offer a fault-based divorce at all. To begin your no-fault divorce in the state of Washington, you’ll need to complete a Petition for Dissolution of Marriage, as well as some additional paperwork. You may fill out and file this paperwork yourself, but a divorce attorney can help ensure that everything is correct and that you aren’t accidentally giving away your legal rights. If you and your spouse are residents of King County, your petition and other paperwork need to be filed with the King County Superior Court; otherwise, you may file for your divorce in the county that either you or your spouse live in. After your paperwork is filed, you’ll have to legally serve both the petition and a summons to your spouse. There are specific rules for legal service regarding who may deliver the papers and how they must be delivered. Typically, they must be delivered in person, unless you have permission from the court to do otherwise; further, you cannot usually deliver them yourself. You may ask a friend to deliver the papers for free, but often the better option is to use a commercial service that specializes in this type of legal service. When in doubt, talk to your attorney about what would be your best legal option with regards to how to serve your spouse. Once papers have been served, your spouse has as long as thirty days to decide whether to contest the terms of the divorce. If your spouse agrees to your terms and follows the instructions on the papers, a ninety-day waiting period begins, after which the court will grant your request for dissolution and you will be legally divorced. If your spouse contests the terms of your petition, the process may take longer, as mediation may be required to negotiate terms that you both find acceptable. 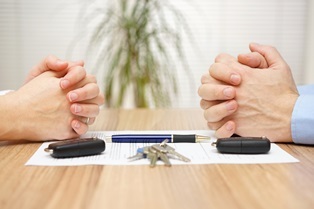 If mediation fails, a trial may be necessary, which can take up to a year or longer. Getting a divorce can be a lot to handle, but you don’t have to do it on your own. An experienced divorce attorney will be able to help you with the entire process from beginning to end, so that you can focus on moving forward into a new chapter of your life. 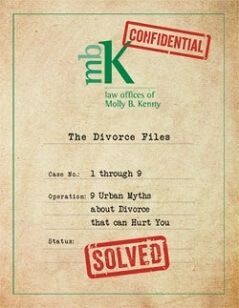 If you have questions about your divorce, the Law Offices of Molly B. Kenny is here to help you. To arrange a private consultation to discuss your divorce situation in our Bellevue office, please call us, or use our contact form to send an email today. What is a civil annulment, and how does it differ from a religious annulment? When you consider ending your marriage, divorce is often the most common solution. However, there is another way you can legally end your marriage—through an annulment. This legal procedure cancels a marriage and legally declares that it did not exist and was not valid. There are two types of annulment—civil and religious—and you may wish for one or both, depending on your personal needs and situation. If you choose an annulment over a divorce, it’s important to know the difference between the two types and how to get legal help. In the state of Washington, a civil annulment is usually reserved for special circumstances, as it is a more powerful legal option than divorce. Like a divorce, a civil annulment will terminate a marriage. However, unlike divorce, the annulment will also invalidate the marriage entirely as though it never happened. One or both parties were underage. In Washington, you must be 18 years old to get married or 17 with parental consent and a petition for special circumstances. Multiple spouses. Bigamy (having more than one spouse) is not legal under Washington law and is grounds for annulment. Close relations. Incestuous marriages are not permitted and may be annulled. Mental incompetence. If a spouse was determined to be mentally incompetent at the time of marriage because she was intoxicated, incapacitated, or mentally ill, she may not have been in a state to legally consent, and the marriage may be invalidated. Under duress. 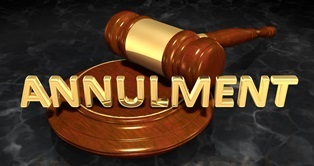 Coercion, through threats, blackmail, or force, is grounds for annulment. Fraudulent activity. If a spouse lied about an essential fact that would have influenced whether the marriage would have taken place, including past criminal history, sexually transmitted diseases, or certain other issues, the marriage may be determined as fraudulent and, thereby, annulled. To attain an annulment, a Petition to Invalidate (Annul) Marriage form is needed from the Washington State Court. Since many marriages that are annulment end within the first year, there may be little need for asset division or child custody and support, but for a longer marriage annulment, there are state rules that can help with this process. Your attorney can assist you with the form and any supporting evidence you may need to make your case, as well as offer advice on the next legal steps during and after the annulment process. 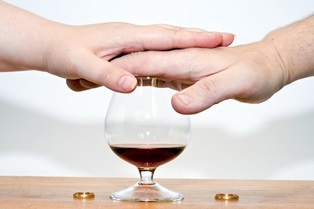 A religious annulment is a choice made by some people when their beliefs or religion disfavor or disallow divorce entirely. This process is not a part of the court system but, rather, a part of the church or institution to which you belong. However, it serves a similar purpose in that a religious annulment of a marriage typically decrees that the marriage was invalid from the beginning. In many cases, this allows you the freedom to re-marry in the future, depending on the policies of your religious institution. To obtain a religious annulment, it’s common that you first obtain a civil annulment, but you’ll need to check with your church or religious leaders for details on what the requirements are and how to begin the process. In the Catholic Church, it’s common for a tribunal to have the final say, and it’s common for religious counseling to be required as a part of the process. If you have further questions about annulment or divorce and need help, the Law Offices of Molly B. Kenny is here to provide the answers you need. Our experienced family law attorneys understand the difficult time you’re going through, and we will be there to help you every step of the way. Please call us, or use the contact form to send an email and arrange a private consultation in our Bellevue office today. What forms do I need to fill out in a Washington divorce? On a purely legal level, marriage and divorce are both matters of paperwork. At a time in your life that’s often full of complex and highly-charged emotions, the technical procedure required to get started with a divorce can seem overwhelming and confusing. It’s important to understand the paperwork needed to get a divorce, including the official forms and other documents that you’ll want to have ready. Petition for Dissolution of Marriage. This is one of the longer forms you’ll need to fill out. It includes information about when and where you were married, information indicating that the court has jurisdiction over the marriage, whether you have children, marital debts and assets, spousal and child support, custody, and a formal request to dissolve the marriage. You can also use this form to change your name as a part of the divorce. Confidential Information. This form contains information not to be filed in the public record but is still necessary for the divorce. The only way that your spouse or his attorney can see the information contained on the CI form is by court order. It mainly asks about issues related to health and safety, including any restraining or protective orders—especially those that affect children. There is also an addendum form that may be required. Summons. The summons form, or Notice about a Marriage or Domestic Partnership form, is a two-page document that gets served to your spouse in order to begin the divorce proceedings. It notifies him that you have started an action to ask the court to end your marriage. This form is also used for ending a domestic partnership or engaging in a legal separation. Your spouse typically has twenty days to respond, unless he was served out of state, in which case the deadline is extended to sixty days. There are other forms that may be required, including a vital statistics form. 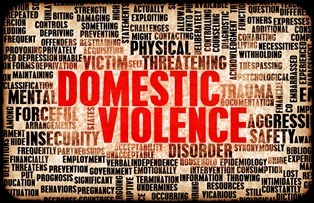 There is also additional paperwork if you’re requesting a restraining order or if you have children with your spouse. Your divorce attorney will be able to help you select which forms are necessary, how to fill them out, and how to file them. In addition to filling out the right forms, you may also need to spend some time compiling some additional information to include with these forms. Financial paperwork such as credit card and bank statements, bills, records of debt such as loan or mortgage documents, retirement plan information, and deeds or titles to real property such as a home or a car may be needed. 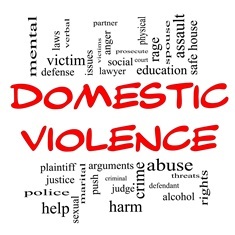 If your divorce involved domestic violence, you’ll want to compile medical records, police reports, logs of 9-1-1 calls, and other evidence of the situation. If your spouse is the one who filed for divorce and you received a summons and a petition, the summons will include directions about how to reply. Typically, this reply is with a form called the “Response to Petition about a Marriage,” and is available, as are the other forms, on the website of the Washington State Courts. 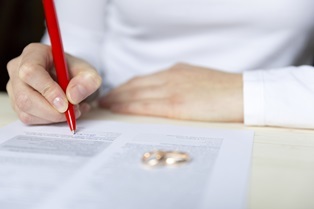 Legal divorce paperwork can be confusing, but you don’t have to face it alone. An experienced divorce attorney will be familiar with all of the necessary forms and can help you every step of the way. To get the legal help you need with your divorce, the Law Offices of Molly B. Kenny is here for you. Reach out to us by phone, or send us an email via our contact form to arrange a private consultation with an experienced and caring attorney in our Bellevue office. Is legal separation required before a divorce? When people are considering a divorce, one of the first questions they have is about whether they need to go through the legal separation process first. Because there are many misconceptions and myths surrounding legal separation and divorce, it’s important to know the difference between the two and whether you really need to go through a separation before a divorce. You cannot marry someone else. When you’re legally separated in Washington, you are still technically married in the eyes of the state. This means you cannot get re-married if you enter a relationship with someone else unless you proceed to a full divorce first. You must wait six months for a divorce. When you go through a divorce, there is a 90-day waiting period before the decree of divorce can be issued. When you legally separate, you must remain so for at least six months before the court will accept a conversion to divorce. Legal separation may let you keep insurance. When you get divorced, most insurance policies (such as health insurance) won’t let someone who isn’t married stay on a family policy. By contrast, many policies allow legally separated partners to remain on a shared policy. It’s important to check with your insurance agent or insurer about this. The procedures for a legal separation are nearly identical to those of a divorce. The same legal statute in the Washington Revised Code applies to both, and the same standards of asset division are followed. That is, alimony is calculated the same way, parenting plans for child custody are formulated in the same way, and any community property is divided up equally, just as with a divorce. The paperwork filed with the court is also almost identical. You do not need to legally separate before a divorce. 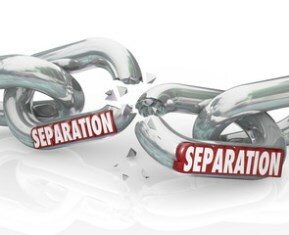 In fact, it may be against your own best interests to do so—many, if not most, legal separations end in divorce anyway. In most situations, a legal separation prolongs the process of starting your new life, since you must wait at least six months to convert a separation to a divorce. Some couples choose to use this time to engage in marriage counseling or other therapy and attempt to reconcile, under the logic that a six-month deadline provides some incentive to work things out. After all, the decree of separation can be reversed if both parties agree and file a motion with the court. On the other hand, it’s also just as easy to convert the separation into a divorce because the legal separation already has laid the groundwork for the divorce, and both parties have likely been living as though divorced during that time. Even if you choose legal separation instead of divorce, it’s still a good idea to have an attorney on your side. 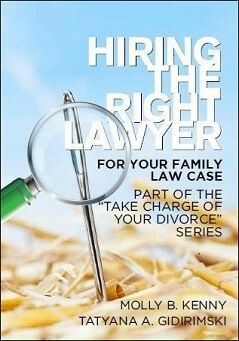 Remember that asset division, child custody, and spousal support are all negotiated as a part of legal separation. Should you wish to transition to a divorce after the six-month waiting period is up, you’ll already have an attorney who is familiar with your situation to help protect your rights and ensure that you get your fair share of marital property. If you have questions or concerns about your legal separation, the Law Offices of Molly B. Kenny is here to help you. To arrange a private consultation in our Bellevue offices, please contact us by phone, or use our contact form to send an email today. When you’re making an estate plan and determining how to best pass your assets on to your heirs and beneficiaries after you die, probate costs are often a big question mark. 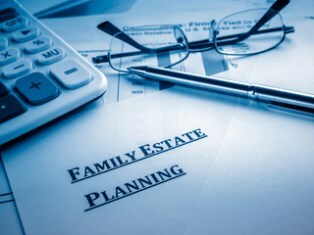 It’s something that everyone who is just getting started in estate planning hears about, and it’s often high on their list of planning concerns. After all, the goal of estate planning is to plan for your family’s future when you’re gone, not spend it all in fees. Here’s some important information about probate fees, how to avoid additional costs, and how to contact an attorney for help. One of the biggest probate expenses in Washington is just the amount of time it takes to go through the entire process. There are certain minimum time limits that must pass in order to successfully close out the estate, such as the mandatory notice to creditors, which must be published for at least four months. The time required to inventory the estate, get appraisals, manage complex title issues, or handle tax problems all adds up. It can take from six to nine months for even the simplest estate. Larger or more complex estate situations can extend this time considerably, and the longer it takes, the more likely attorney’s fees will pile up, too. The actual fixed expenses involved in probate depend almost entirely on the details of the estate. There are many filing fees with the court involved in the process, which can run from a few dollars each to over $200, depending on the filing. Your county clerk’s office will have a schedule of fees, and King County has these fees published online. There are a few other fixed costs that can’t be avoided, as well. The four-month publication of a notice to creditors is one expense that simply can’t be ignored, so you’ll likely end up paying your local newspaper’s rates for a classified ad for that period of time. Estate taxes are one major source of dread that many people have, but there is a little bit of good news there for smaller estate situations: the standard exclusion amount in Washington is a little over $2 million dollars, and the federal estate tax exemption is over $5 million dollars as of 2017. Larger estates will have to file and pay these estate taxes, which often also means hiring a tax attorney or accountant, which only adds to the expense. 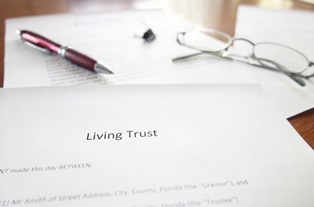 Living trusts. You may choose to use either a revocable or irrevocable trust to hold your assets, allowing the transfer of assets directly to the named beneficiaries and avoiding probate. Community property agreements. This agreement between spouses allows the transfer of property to a surviving spouse directly, making probate unnecessary. 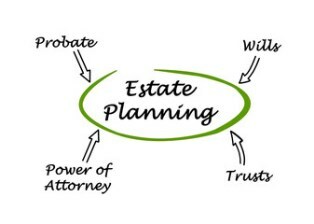 Very small estates may also be able to avoid probate altogether, as Washington does not require probate for estates with assets under $100,000. Every probate situation is unique, with different goals and challenges to be overcome. Your estate planning attorney will be able to tell you the best tools to use to meet the unique needs of your own family’s situation, so you can have peace of mind knowing that your loved ones will be cared for when you are gone. At the Law Offices of Molly B. Kenny, we have spent years helping families and individuals plan for the future, and we’d like to be there for you, too. If you have any questions or concerns about your estate planning situation, schedule a private consultation with one of our experienced attorneys here in our Bellevue office. Reach out to us by phone, or use the contact form to send an email to speak to a professional today. Do I need a lawyer to create a separation agreement in Washington? In the state of Washington, the court permits couples who wish to legally separate to do so without filing for a divorce. This option is available for those who may not wish to engage in a formal divorce for any number of reasons, including financial concerns, personal or religious objections to divorce, concerns for the children, or if the couple is unsure about whether they’re ready to divorce at all. If you’re thinking about a legal separation in Washington, here’s what you should know about the process, including the advantages and disadvantages of separation versus divorce, whether you need a lawyer’s help to create your separation agreement, and how to get legal help with a separation or divorce. The process for a legal separation is nearly identical to the process for a divorce. In a legal separation, you file a petition with the court that is similar to a divorce petition. Since Washington is a community property state with specific rules about the division of assets acquired by either partner during a marriage, dividing up your marital property (including debts) will also be required as a part of that process, just like in a divorce. Partners may come to a mutual agreement about what’s fair or may rely on the court’s help in splitting the marital assets fairly. Much like with a divorce, it will also be necessary to make arrangements for the children in your separation agreement, including a parenting plan. It should include who will maintain physical and legal custody of the children, visitation rights, and plans for child support payments. The key difference is that after the legal separation has been filed, in the eyes of the law, the couple remains legally married and may not divorce until six months have passed. This can allow both partners time to disentangle their lives from the other and make financial arrangements, find housing, and work through asset division. After the six months have passed, the separation may be transitioned into a divorce by either partner by filing a petition with the court. Some couples choose to use the six months to work on aspects of their relationship so they may reconcile, in which case the separation can be ended without needing to go through the legal process of re-marrying. Many people wonder if they can create a separation agreement on their own, without involving an attorney, and the answer is yes. The state of Washington does not require a lawyer’s help to create a legal separation agreement, and the forms are available online through the website of the Washington Courts. However, keep in mind that it may not be in your best interests to sign a legal separation agreement without the advice of an attorney. Your separation agreement is considered a contract, and you want to protect your rights. Remember, the terms of your legal separation are almost exactly like those of a divorce—the biggest difference being only that after a legal separation, you cannot remarry without first obtaining an actual divorce. Your attorney can help you make sure that the terms of your separation agreement are fair and you’re receiving your due share, especially when there are significant assets at stake. 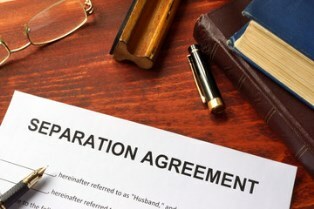 A major advantage to having an attorney help with your separation agreement is if you and your ex-partner do decide to go ahead with the divorce. After the six-month waiting period is up, you’ll already have an attorney on your side who knows you and is familiar with your situation, ready to help you with your unique family needs. On the other hand, if you and your partner reconcile, your attorney will be able to reverse the separation with a minimum of hassle, saving you time and headache. 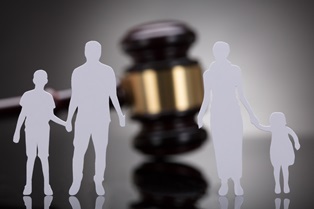 The Law Offices of Molly B. Kenny has decades of family law experience and is dedicated to helping families like yours move forward into a new chapter of their lives after a separation or divorce. Our office is conveniently located in Bellevue, so please call us, or click the contact link to arrange a private consultation with an attorney who can help you today. Is a community property agreement right for my estate plan? A community property agreement, or CPA, can be a powerful tool for your estate plan. It has some real advantages for certain situations that can be used to avoid probate when one partner in a marriage dies. However, it may not be the best solution for every marriage, as there are many limitations that a CPA has that other estate planning documents do not. Here’s what you need to know about having a community property agreement as part of your own estate plan, including what a CPA does, what limitations it has, and whether you need an attorney to help you. Washington is a community property state, which means that when you enter into a marriage, most of the assets or property that you each acquire afterward belong in equal part to each partner (although there are exceptions, such as gifts or inheritances). However, property owned by each partner before the marriage stays separate, unless it is later commingled with community property. A CPA is a form of legal agreement between you and your spouse that converts all property of both partners into community property and then transfers ownership interest of all that community property to the surviving spouse without the need to go through probate. This can save quite a bit of time and some legal expense, too, so for less complex situations, it can be a relatively simple and painless document. It’s also important to note that a CPA must not only be signed by both partners but also notarized to be considered valid. If this requirement is not met, the CPA likely will not hold up in court, and the assets of the deceased partner may end up going through probate despite his last wishes. Make gifts to any other heirs, beneficiaries, or favored charities. All of your property must go to your surviving spouse. Name a personal representative to manage your estate. Cite guardians for your minor children. Make arrangements for your property if you and your spouse should both die at the same time. Changing or dissolving a CPA is a little more difficult than with a will, too. Unlike a will, any changes to a CPA must be agreed upon by both partners, and a new document must be drafted, signed, and notarized. Revoking a CPA also requires the signature of both spouses, whereas a will can be revoked by simply destroying the document. 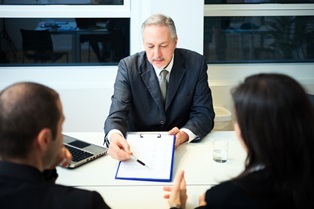 Although you’re not required by law to have an attorney help you with your community property agreement, the potential complexities and pitfalls of a CPA mean that having a professional review yours is never a bad idea. An attorney can make sure that your CPA is legally valid, does what you need it to do, and there is no conflict with any other part of your estate plan. If you’re not sure whether a community property agreement is right for your marriage, the Law Offices of Molly B. Kenny is here to help you ensure that your family and loved ones will be taken care of when you’re gone. To get the help that you need, please call us by phone or send an email using our contact form and arrange a private consultation to discuss your estate planning needs in our Bellevue office.